The new ‘Aquaflo Plus’ range takes the award winning Aquaflo collection to another level. 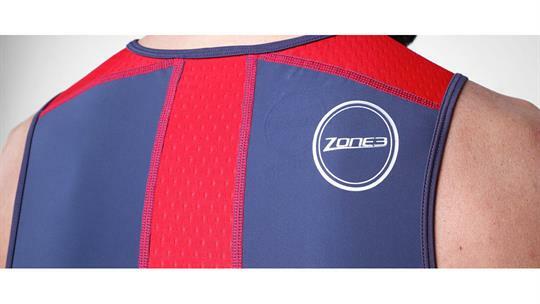 Featuring the highly rated water repellent Aquaflo fabric combined with an ultra soft and flexible mesh fabric for improved ventilation and styling. There is an abundance of new features to improve comfort and functionality further, setting a benchmark in the industry for the performance and quality which can be achieved, whilst keeping to an entry/mid-range price point. The 2016 collection is an update on the long standing Aquaflo range which achieved the ‘BEST BUY’ award in 220 Triathlon magazine in 2011, 2012 and 2014. The collection is designed to improve speed, endurance and comfort and offers top of the range features without the top of the range price-point. 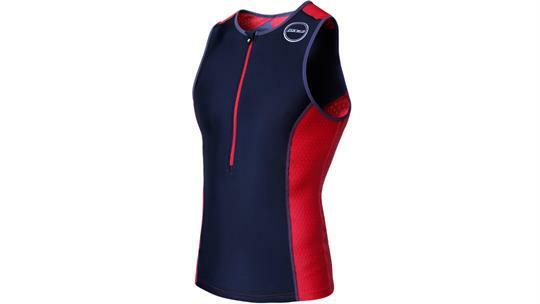 The Aquaflo Tri Top has been the best selling top in Zone3's range thanks to the performance focus fabrics and comfortable fit. 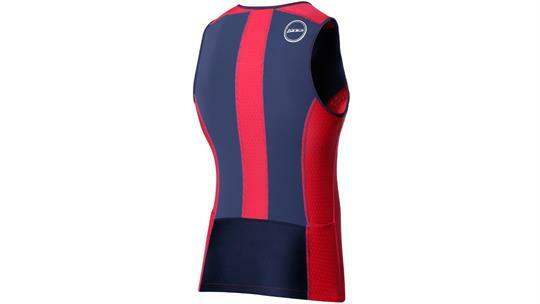 It is made using a combination of Aquaflo and Airflo to offer speed, aerodynamics and a high degree of ventilation. 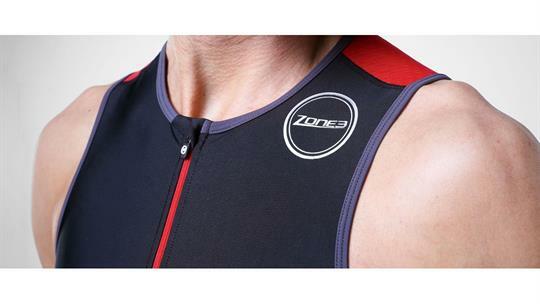 It’s a great looking and high performance top suitable for both short and long distance races. 2. Airflo is designed for optimum temperature control by allowing moisture to easily evaporate from the skin and help keep the body cool or warm depending on the conditions. The soft-touch feels extremely comfortable against the skin and the eyelet pattern also helps the fabric to dry very quickly after the swim. 4. 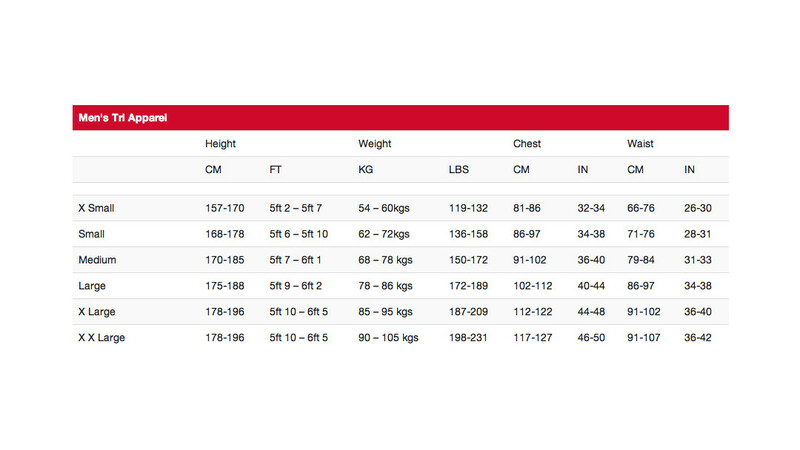 Length – Designed to slightly overlap with the Tri shorts which gives the impression of wearing a suit, but with the versatility of wearing shorts and top. The top is also longer at the back compared to the front to ensure good coverage in all cycling positions. 5. New Pocket Design: Two carefully positioned streamlined pockets on each side of the leg to allow nutritional products or other race accessories to be stored and accessed with ease. With a full size pocket on one side, the other has two smaller sized pockets to accommodate different items.